Family court hears and determines a variety of personal legal matters including custody, child support, spousal support, paternity, abuse and neglect, juvenile delinquency, PINS and family offense proceedings. It does not however deal with criminal matters between individuals that do not have a familial or intimate relationship with each other, divorces, or property disputes. Support proceedings usually are presided over by a Support Magistrate who is a specially designated and trained attorney assigned to handle child support and spousal support issues. All other matters in family court will be handled by a judge. There are two ways that you may find yourself in a family court: either you petition the family court yourself or someone else petitions you. If you are not the person starting the family court proceeding, then you are called "the Respondent." If you are starting the proceeding, then you are called "the petitioner". The petitioner may also be the Department of Social Services or another agency who is concerned about the well being of a child. Petitioners and respondent are often referred to as "the parties". You do not need to have an attorney to file the petition and at present, there is no cost to file a petition. All family courts keep sample forms available to the public that can be filed out. First, the personnel at family court can answer general questions but cannot provide you with legal advice, drafting suggestions or answer questions about what you should or should not do. It is preferable to have an attorney assist you in drafting a petition because in certain cases, the petition can be thrown out or dismissed if it is not filled out correctly and/or does not provide sufficient facts to support what is being requested. Often people file petitions when they are upset or angry and that is when mistakes and errors tend to get made. Attorneys are familiar with how petitions need to be filled out and can avoid these crucial mistakes. Second, under certain circumstances in custody, child abuse or neglect proceedings, and in family offense proceedings, the petitioner can also obtain a temporary order from the judge on the day he/she goes to file the petition. That temporary order may contain directives about custody or may consist of an order of protection with directives about conduct and behavior. The temporary order is not intended to be the final result, but rather is intended to provide for a child or petitioner's immediate safety and well being until further proceedings take place. These are called "ex parte" orders because they are granted with only one person having appeared in court. However to obtain them, the court will often require testimony from a party. You may be frightened, nervous and not sure what to say and thus may not get the information to the judge because you are unprepared and not aware of what facts are important. 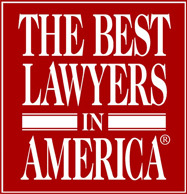 At attorney can not only guide you but also prepare you for this. Third, if you are the party against whom an ex parte order has been granted, you will have a right to see the petition and the temporary order and you have a right to be heard on the matter. Most courts will attempt to place a matter on the calendar quickly if a temporary order is granted with only one party present, however sometimes that can be weeks later. An attorney can assist you with trying to expedite or move up the court date if the temporary relief is extremely burdensome. In addition, many individuals don't understand how serious a temporary order of protection is. An attorney can explain the consequences of the order and field questions about what you can and can't do. Fourth, the family court judge or support magistrate you appear first in front of is most likely the individual who will handle your case throughout. When you first appear in front of the court, you will be asked about the petition, if you are the Respondent, and whether you agree or disagree with it. You have the right to disagree. However many people not only disagree, but then continue to say and/or do things in court they should not. This can make a poor impression for you and can impact the outcome of your case. I have seen more than one litigant, who did not have an attorney, go into a tirade, screaming about the other party in front of the judge, arguing that an order of protection was not warranted. If you were the judge and you were deciding on whether or not to continue a temporary order of protection to protect someone's safety, how convincing do you think those individuals are? If you have an attorney speak for you, the court receives the appropriate information it needs to make its decision and you have an advocate speak for you. Fifth, if you are not sure what to do, the court can answer general questions for you but it can't provide you with legal advice. The court can make certain directives including making a specific temporary custody schedule, directing certain types of evaluations, or directing temporary support to be paid. Sometimes people who do not have attorneys mistakenly agree to things because they are scared, nervous and don't want to look foolish in front of the judge which is why you should highly consider getting an attorney so that you know what your rights are, and what options you have available and what certain terms mean. Sixth, in family court a trial often does not occur for several weeks after the petition is filed. There are exceptions for abuse and neglect cases where children have been removed from their homes and in certain custody cases. Until the trial is concluded, temporary orders are often in place until the court reaches its decision. Temporary orders are made whether or not you have an attorney and can often have serious immediate consequences both financially and in terms of access to your home and your children. Having an attorney helps you have input into the terms of that temporary order that are in your best interests. Seventh, if the case cannot be resolved, it will be put down for a trial in the future. There are rules of evidence and procedure which govern how and what the court can consider as evidence. You may have seen examples of this on television shows or in movies involving court room scenes. However, no matter what you have seen on television or in a movie, these are poor replacements for the advice of an attorney on an evidence issue. Likewise, good intentioned friends, coworkers and family members may provide you with advice and support. Support is wonderful; advice however can be dangerous. Unless your friend, coworker or family member is an experienced family court lawyer, you should not be taking legal advice from them. Eighth, reality is that many family court cases settle. If you tell the judge or support magistrate that you agree to something, then you are bound to that agreement and generally can't back out of it later on. Unfortunately, many people don't understand what they are actually agreeing to in family court and what rights they may have inadvertently waived. It is thus critical to have an attorney guide you though what terms mean in a settlement so that you understand it. Ninth, a non-lawyer may have no idea when to settle case and when to try a case. You may overestimate the value of your evidence and your witnesses. You also may overestimate what the other side has "against you". You lack the impartiality and experience to really make that assessment. Tenth, family court renders decisions on your children, your finances and your liberties that can have long standing impacts. It always amazes me that people will spend money on alcohol, cigarettes, scratch-offs, high end clothes, but will chance their custodial rights, support rights and liberties in family court rather than hire a lawyer or at least seek a consultation with an attorney. Don't be penny wise and pound foolish as the old-timers often say.! Please contact one of our lawyers to set up a consultation on your family court matter.